Top model Amy Lemons has graced the pages of countless fashion mags, including the covers of Italian Vogue and American Bazaar. 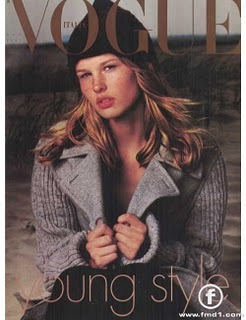 You may also recognize her from her Louis Vuitton, Burberry and Tommy Hilfiger campaigns. She’s strutted her stuff on endless runways like Versace, Calvin Klein, Chloe, Ralph Lauren, and Marc Jacobs (to name a few). Not only is Amy a super hot super model, she’s also a super sweet fellow beauty whore! In this ***exclusive*** Beauty Banter post, Amy tells us what products she can’t live without (and trust me, she’s used every product out there)!